Take a mid-morning flight from Johannesburg to Livingstone (flight included). On arrival at Livingstone Airport in Zambia, we will meet and transfer you to the hotel. Overnight at your selected hotel (2 nights) Note: The Zambezi Sun and Royal Livingstone hotels include unlimited access to the Falls and an African Queen Zambezi Cruise. 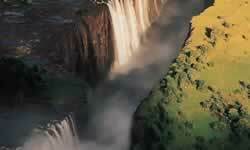 David Livingstone Hotel includes a guided tour of the Falls and African Queen Zambezi Cruise. Optional activities include game drives, a visit to a local village, museum and craft market; these excursions are an additional cost. During your game viewing excursions explore this wonderful park, home to the largest concentration of elephants in Africa. Departure Taxes are additional at a rate of $280. 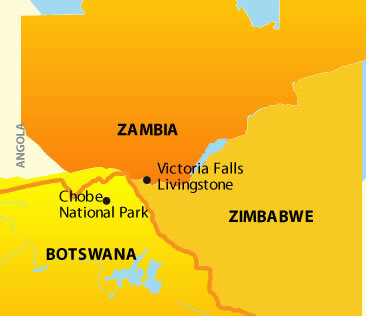 Minimum 3 night stay at Royal Livingstone & Zambezi Sun from Mar 28-Apr 1, 2013.